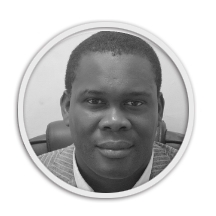 Dr Mushi is a lecturer on Civil Society and Development and Director for Centre for Society and Governance (CeSGO) at the Mzumbe University in Dar es Salaam, Tanzania. Mr. Mushi has extensive experience of working with and researching on politics, civil society and governance,poverty alleviation, regional decentralization processes,electoral processes, gender issues in Tanzania and in general, in Sub- Sahara Africa. In particular, among his research works on election, Mr. Mushi presented “Tanzania Elections 2010: present state and future trends” to the Royal African Society at the School of Oriental and African Studies (SOAS), University of London (2010). Mr. Mushi is member of the Tanzanian Special Committee on the New Constitution under Legal and Human Rights Centre (LHRC) with main responsibility of (i) Documenting the whole process of Constitution Review. (ii)Providing technical guidance at all stages to a team of public empowerment, and CSOs; (iii )Analyzing the process and providing feedback to the Commission, Constituent assembly, electoral commission and public in general. (iv)Providing technical support to the rest of stakeholder’s particularly civil society organisations that undertake interventions in relation to constitution making in Tanzania. Mr. Moshi has been Facilitator and Advisor on Gender Sensitivity and How to Develop Gender Sensitive Organisation to Women and Poverty Alleviation in Tanzania as well as Trainer and Advisor on advocacy and lobbying skills; and how influence policy to The National Gender and Sustainable Energy Network (NGSEN). Mr. Mushi holds a PHD from the University of Birmingham (UK). He obtained the PHD with a thesis on Non-Governmental Organisations (NGOs) and the Politics of Engaging Government in Tanzania. Mr. Mushi holds a MA and a BA in Sociology from the Dar es Salaam, Tanzania.